Fall Senior Pictures Short North by Columbus Ohio Portraits Photographer Brenda Kerns. 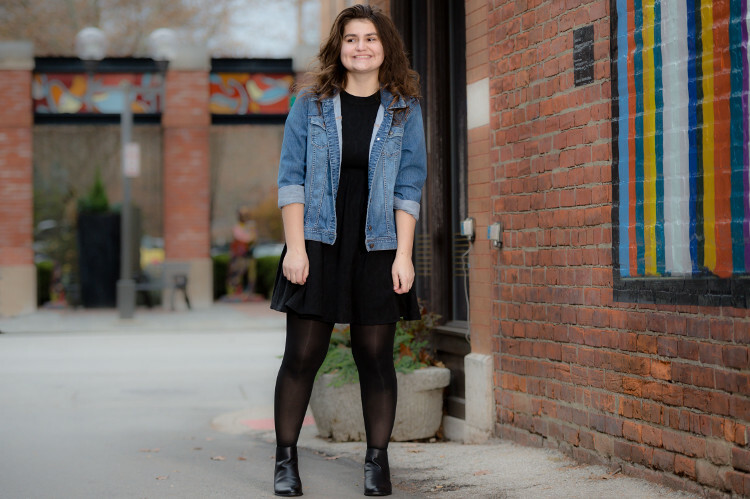 Enjoying time in the Short North for these high school senior portraits. 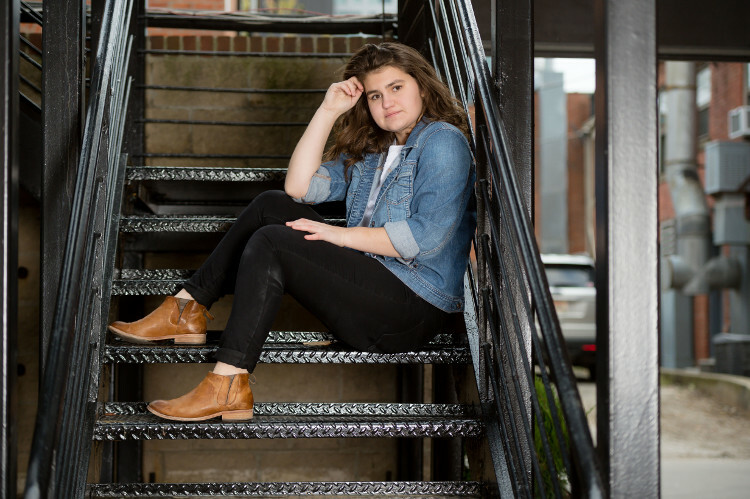 In Columbus, Ohio, November is a risky month to schedule a high school senior portraits photo session. 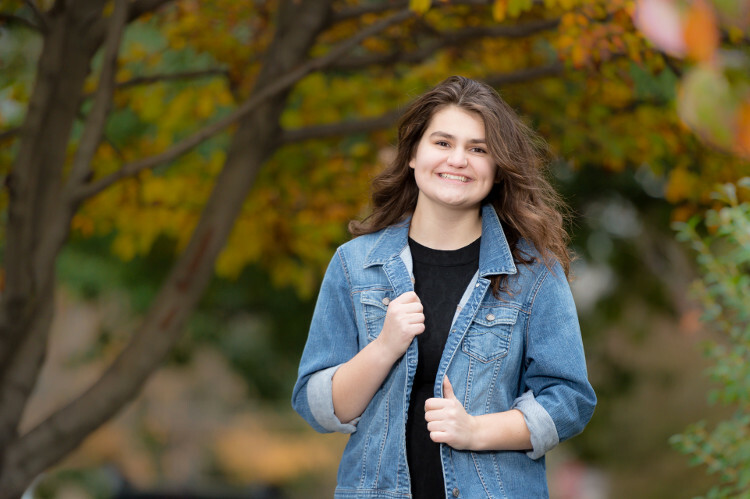 And, in my opinion, it is difficult to find a high school senior GIRL who is willing to have her senior portraits taken in November — in Columbus, Ohio. But sometimes life gets in the way and schedules get busy and calendars don’t mesh and November all of a sudden becomes the best option for some clients. Lucky for me, this Thomas Worthington High School Senior, Leah, wasn’t worried at all about the weather. She wasn’t worried about finding a place to change her outfits in the Short North area. She wasn’t even worried about her hair blowing incessantly on this unusually breezy day. We enjoyed our walk around the Short North and spotted colored doors, fall-colored leaves and plenty of brick walls and streets to use as backdrops. 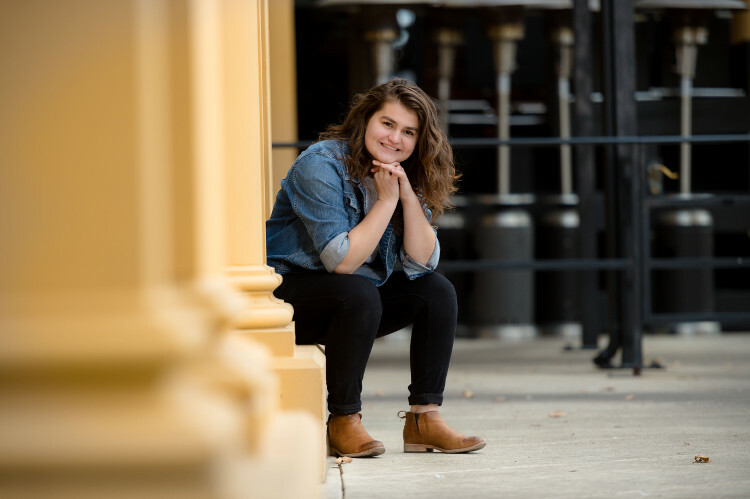 It is fun for me as a portrait photographer to look for backdrops that will accentuate or contrast with the colors the high school senior is wearing. I absolutely love spending time with my high school senior portrait clients, getting to know them better as we walk and talk with my camera in hand. Often times our session begins with my client feeling a little hesitant about posing or standing a certain way, but it is my goal to make my clients feel very comfortable and capture their images as naturally as possible. Sometimes it means I take a lot more images than I realize because we talk, talk, talk while we walk, walk, walk! Shooting in the fall has one additional drawback. Being a Columbus, Ohio portraits photographer, I love using the natural light of the sun. But by 4:30 or 5:00 in the fall, our light begins to fade, signaling the end of our session. For me, the next step in the process is an exciting one; reviewing and editing the images we captured during our session is so rewarding for me. I can hardly wait to share them with my clients! 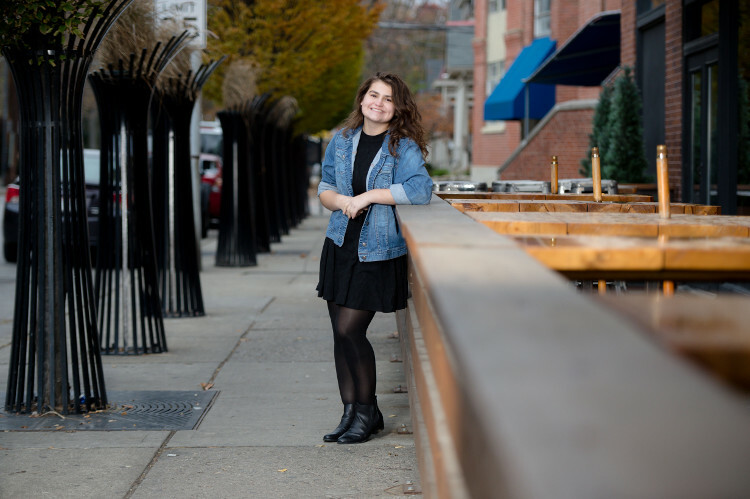 Thank you, Thomas Worthington High School Senior Leah for choosing Caught My Eye Photography of Columbus to capture your uniqueness! These are so beautiful! My niece is in high school, but not a senior yet. In a few years we will be looking for a photographer and we will definitely be calling you! Wow these pictures are amazing! I don’t know how the weather is in Columbus but that looks like an exciting senior session! Can’t wait till mine are in high school! You are so talented! 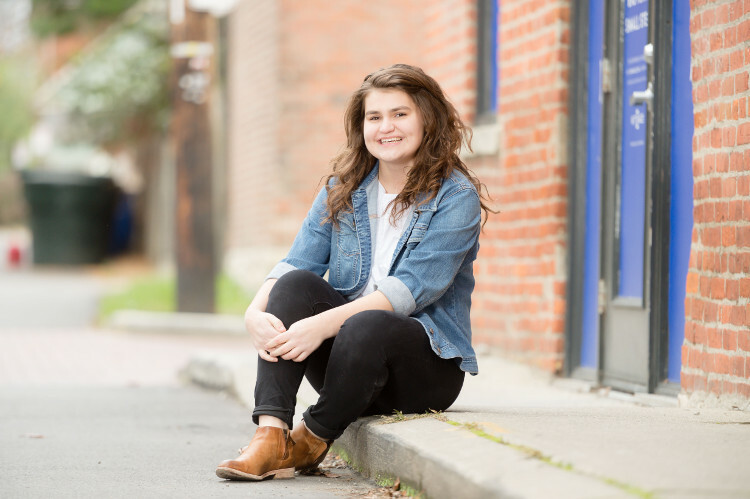 These are such great high school senior portraits! Wow! Senior portraits these days are so great! They make me want to go back to high School and do mine over again!